At the Food Systems Research Institute we believe that a sustainable food system can be achieved in an environmentally friendly, profitable, and socially beneficial manner. The ecological stress humans have placed on water, soil, and air resources is increasing and as the world population grows. Responsible management of these resources is a big part of figuring out how we can achieve global food security. What regions grow food most efficiently? How can we minimize the negative externalities of these systems while maximizing benefits to communities, the environment, and the economy? Our ability to produce enough food for the global population is just part of the problem; an equally formidable challenge is figuring out how we can ensure that not only is there enough food on the planet for seven billion, but ensure that this food is culturally appropriate and accessible to all. Despite the food system’s overwhelming complexity, it directly impacts everybody; from the food we eat, to the air we breathe, to the water we drink. At FSRI we are here to help businesses and institutions understand, integrate, and improve the food system in a way that increases efficiency, maximizes profit, and works towards sustainability. Though FSRI’s customized consulting services, we tailor every work product to meet every client’s particular set of needs. Upon request, we can provide detailed case studies of previous projects. FSRI recently completed a comprehensive inventory of Northern New England’s agricultural assets, including farmers, distributors, retailers and restaurants. 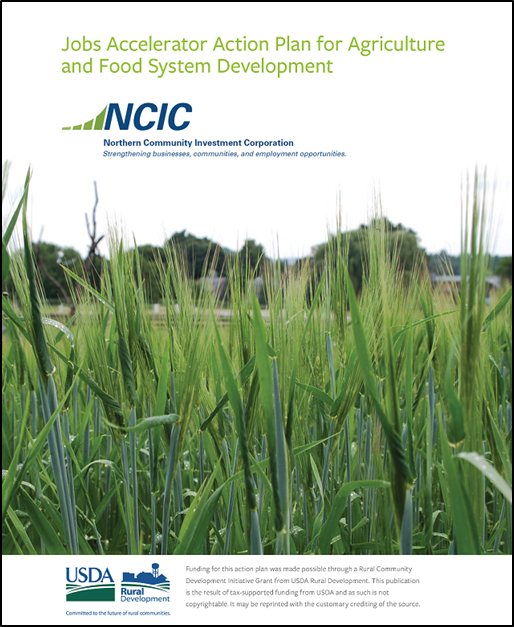 Covering eight counties, this analysis was performed for the Northern Community Investment Corporation (NCIC). The final 160 page report details the Northern Tier’s agricultural and food system components and recommends strategic locations for the creation of value-added meat processing facilities based on current infrastructure and market demand. FSRI was approached by the Vermont Food Bank to help identify gaps in charitable food assistance on a statewide level. Using our geoanalytical and mapping capabilities, FSRI integrated public and private data to create a clear picture of where food assistance service gaps existed. 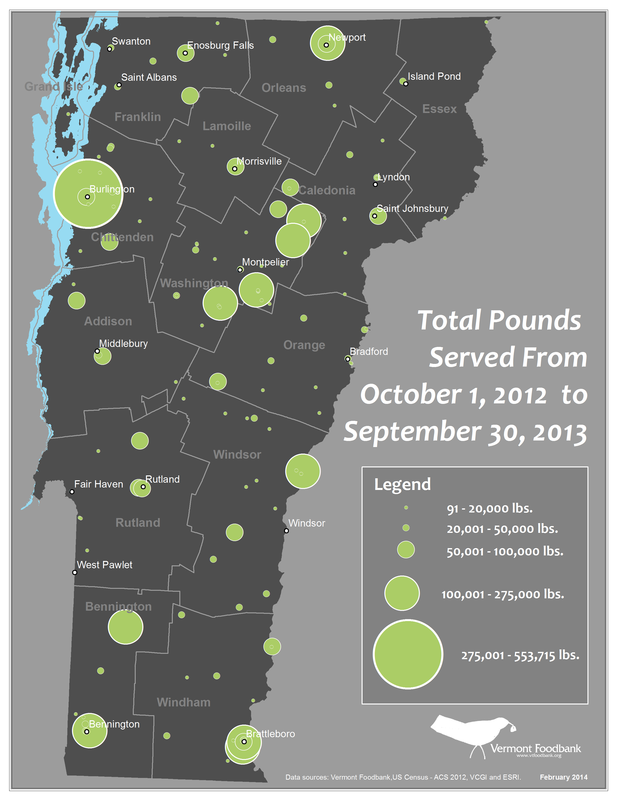 FSRI used this data in the creation of public relations materials used by the Vermont Food Bank. 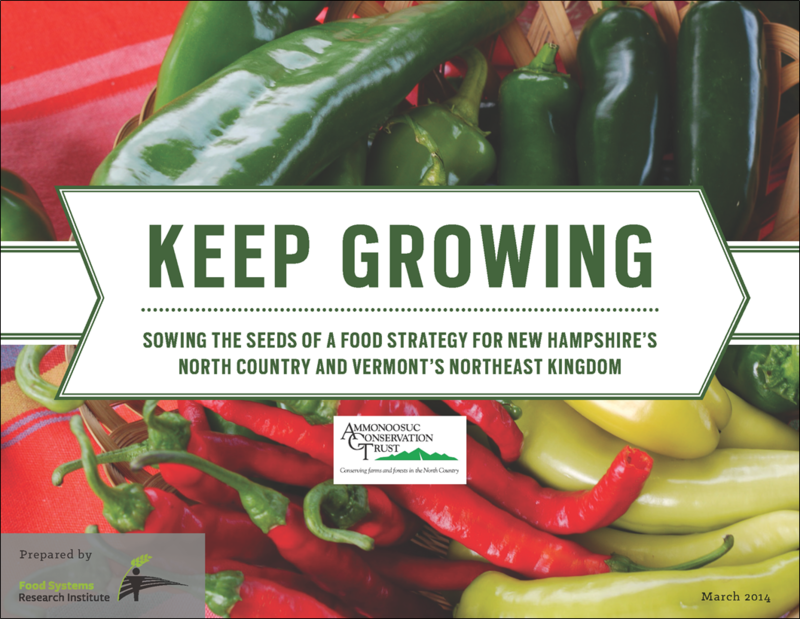 Keep Growing is a grass-roots effort by citizens of the North Country of New Hampshire and Vermont’s Northeast Kingdom. FSRI was retained to help the client, the Ammonoosuc Conservation Trust, create a food systems plan for this region. FSRI not only provided evidence-based recommendations, but we also designed a new website to help formalize Keep Growing’s organizational presence. This included web-based maps for both web and mobile device viewing. We aid municipalities with their efforts to increase local food production by finding interstitial spaces located within developed landscapes that are suitable for agricultural production. An FSRI team member developed the map above for the Burlington Urban Agriculture Task Force. Using GIS and remotely sensed imagery, open spaces, suitable for varying levels of agriculture have been identified. 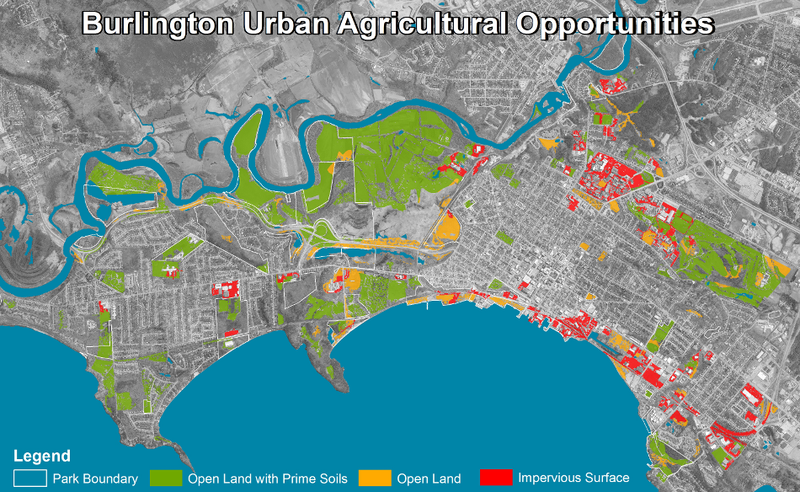 This analysis is currently being used by Burlington City planners as they begin to work on developing urban agriculture overlay districts. At the Food Systems Research Institute we provide analytical and visualization services to clients. For instance, in a recent analysis we utilized agricultural data available from the Food and Agriculture Organization and the World Bank. 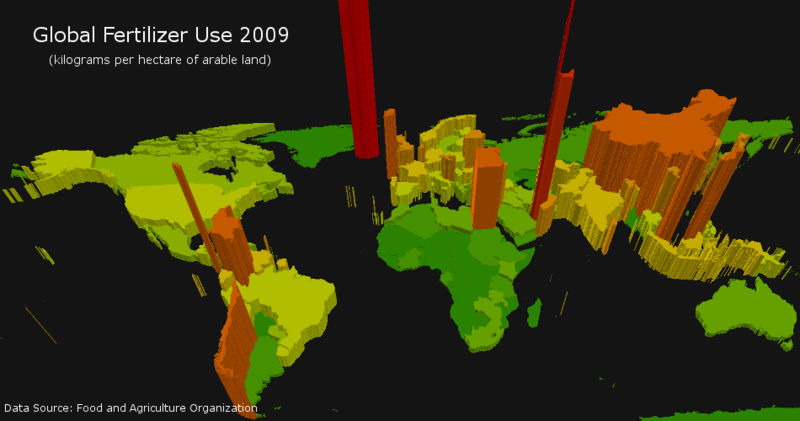 The 3D graphic above shows which nations and regions use high rates of fertilizer application. The Food Systems Research Institute employs visualization techniques to understand data relationships. 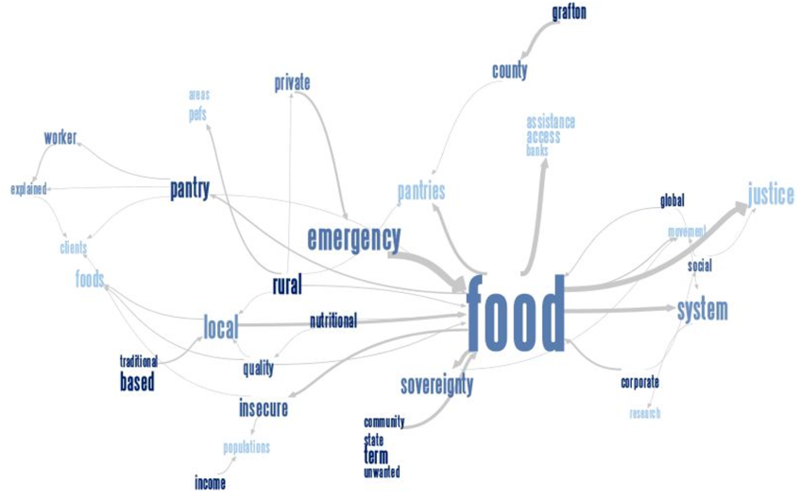 The phrase net pictured above depicts the relationship between the most common phrases and words in an FSRI publication that investigated local food systems and national emergency food structures. 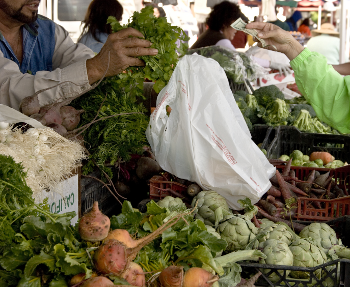 This project in particular was exploratory in nature and creating phrase nets and other coding structures of preliminary data helped to identify opportunities to improve access to high-quality local foods for food-insecure populations. These types of visualizations enhance our capabilities when it comes to understanding and analyzing data, especially when a client hopes to understand a problem from a fresh perspective.